Robert Vassar, PhD, the Davee Professor of Alzheimer Research, scientific director of the Division of Behavioral Neurology, professor of Cell and Molecular Biology, and director of the Alzheimer’s Disease Center P30 grant, was a co-author of a study that found a drug originally intended to help patients recover from stroke may also have beneficial effects for Alzheimer’s disease. An experimental treatment originally developed to help patients recover from stroke may also have beneficial effects for Alzheimer’s disease, according to a recent study published in the Journal of Experimental Medicine. The drug, 3K3A-activated protein C (3-APC), significantly slowed production of harmful proteins in mouse models of Alzheimer’s. Adding this newly discovered function to the known roster of 3-APC’s effects makes it a strong candidate to mitigate early-stage Alzheimer’s disease, according to Robert Vassar, PhD, the Davee Professor of Alzheimer Research and a co-author of the study. “Repurposing the stoke drug 3K3A-APC for Alzheimer’s disease is an exciting possibility, given the paucity of treatments for this devastating neurodegenerative disease,” said Vassar, who is also scientific director of Behavioral Neurology in the Ken & Ruth Davee Department of Neurology, a professor of Cell and Molecular Biology and director of the Alzheimer’s Disease Center P30 grant in the Mesulam Center for Cognitive Neurology and Alzheimer’s Disease. 3-APC is derived from a different blood protein with known anticoagulant and cytoprotective effects – preventing blood clotting and protects cells from programmed death. This protein was modified to reduce its anti-coagulant effects — thereby curbing the risk of excess bleeding — while retaining the cell protection and anti-inflammatory functions. Recent human trials have shown it safely protects cells from stroke-related injury and reduces inflammation, but the current study shows it has potential in Alzheimer’s disease as well. Scientists administered a daily treatment of 3-APC to mice modeling Alzheimer’s disease for four months, finding that these mice had 40 to 50 percent less amyloid protein development when compared to mice who received a placebo treatment. Amyloid protein buildup is a hallmark of Alzheimer’s disease and while it’s still unknown how exactly it might cause the disease’s cognitive symptoms, Vassar likens it to a sliver, suggesting it may irritate brain tissue and eventually leading to neurodegeneration. Curious why 3-APC was reducing amyloid buildup, the scientists analyzed gene transcription data, finding that 3-APC inhibited a gene called BACE-1 at a crucial juncture in amyloid production, preventing amyloid generation in brain cells. This had downstream effects, as well: mice modeling Alzheimer’s treated with 3-APC performed better on cognitive testing when compared to mice who received the placebo treatment. In fact, they tested nearly as well as healthy mice, demonstrating that reducing amyloid buildup could be effective in ameliorating cognitive symptoms. While further study is required to fully understand its effectiveness, because new drug development is extremely expensive, the discovery of a new function in a compound that’s already proven safe in humans is an exciting development, according to the authors. 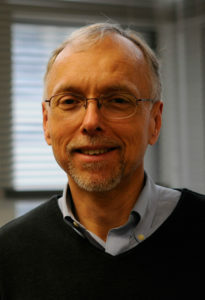 Berislav Zlokovic, MD, PhD, chair and professor of Physiology & Neuroscience at the Keck School of Medicine of University of Southern California and senior author of the study, is a scientific founder and chairs the scientific advisory board of ZZ Biotech LLC, which develops pharmaceuticals based on APC. John Griffin, adjunct professor of Medicine at the University of California San Diego, is a consultant for ZZ Biotech LLC and inventor of some uses of 3K3A-APC. This research was supported in part by National Institutes of Health grants NS090904 and HL052246.